Hello, everyone! I present you the state of Lingua  for September 2018. In total this month, we published 542 posts, attracted 272,382 visits and 337,465 page views. Our collective Lingua Facebook pages’ fans reached 263,061 and 260,975 followers on Twitter. Here is a rundown  of how all sites did in September. Claire Ulrich, our veteran Global Voices in French  contributor, commemorated  our late community member Boukary Konate, who died in September 2017. Arpan Rachman  from Global Voices in Indonesian wrote about the Book Fair in Jakarta . We published a report about our cooperation with Meedan translating #RightsCon tweets . 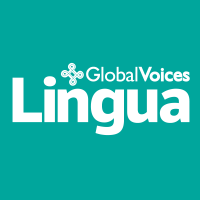 We started our GV Community Council  process and introduced Issue papers 1  and 2 ..
Don't forget to follow Lingua on Twitter,  Facebook , and Google+ ! Please share the application form to join Lingua  with your friends and networks. We translate into dozens of languages ! Finally, subscribe to our Lingua newsletter !